A strong, powerful, striking portrait, featuring just the face of a beautiful girl, looking straight at you, with a gaze that's sad, steely, rock solid. A beautiful, powerful work of art by Fawaz AlOlaiwat, an artist from Bahrain. Featured here on a 21.98" x 32.26" poster. 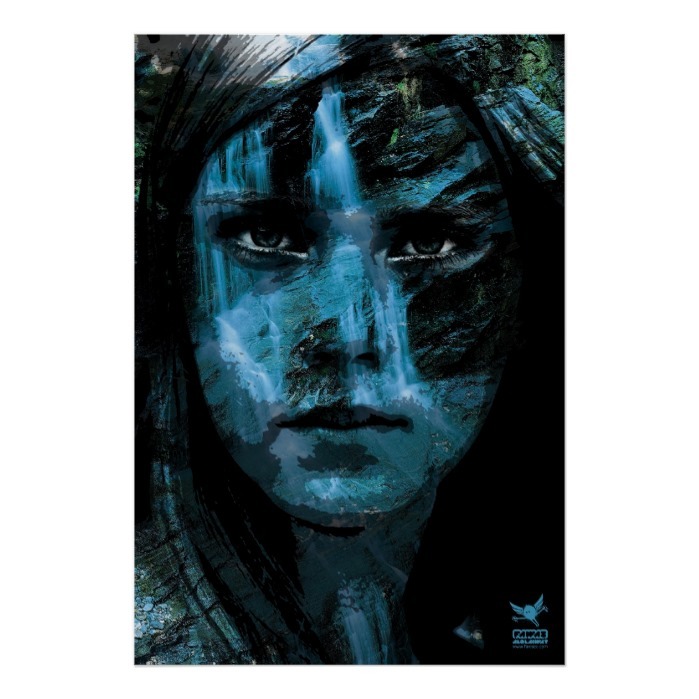 A striking custom poster, great for home and office decor. You may even get the print framed while ordering.